Posted On September 11, 2018 by Team iCynosure. As a mom, I put in a lot of thought and research into everything I use for my kids. But earlier that wasn’t the case, and over a period of time, I started carefully looking at the product ingredient list. I was appalled at the number of harmful chemicals used in various products we consume daily, including baby products. Parenting means putting a little one’s needs before your own. It also is realising that an infant is way more delicate and sensitive than an adult and thus as parents, it is our responsibility to use products that are natural and organic without any side effects or in the least alcohol and parabens free and dermatologically tested. One of the products that have become increasingly popular as an everyday item is baby wipes. And since wipes are used extensively each day, it is imperative to ensure that they are safe for human health and consumption. Many associations check the quality of baby products to ensure they are made as per the specifications that are laid down for production. As I’ve become a vigilant and aware consumer I want to know if every component used in the manufacturing of baby wipes does pass the set quality. You would argue with me about the results of laboratory testing and the absence of advanced technology and equipment available to us as housewives to ascertain the quality. But fear not, there are a few simple things that I do to check the quality of the product I’m using for my precious ones. I've learnt to test baby wipes using the Patch Test and the Flame Test that provide insights about the product. The Flame Test is a reliable method to check the quality of the material used for a baby wipe. During a laboratory test, a wipe is passed through numerous reactive tests to check the ingredients used in production. 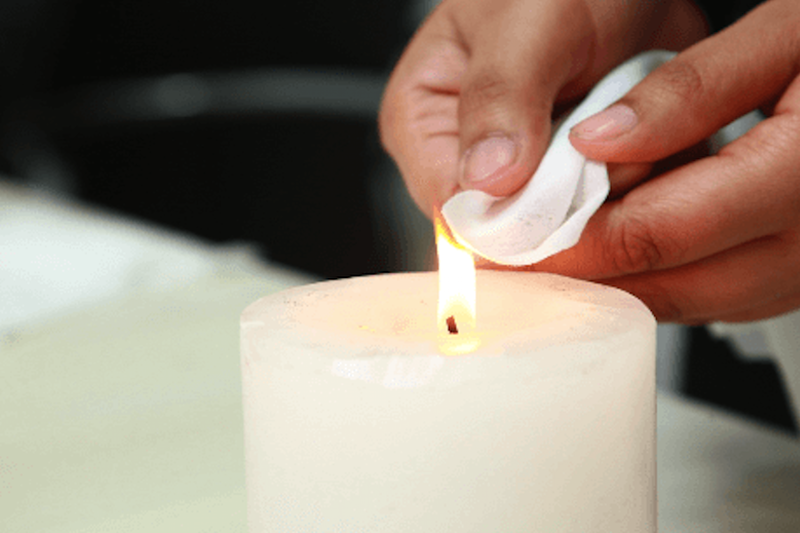 At home what I do is air dry a wipe and then hold it against the flame of a burning candle and the evaluate the wipe on the basis of smell and the effect. 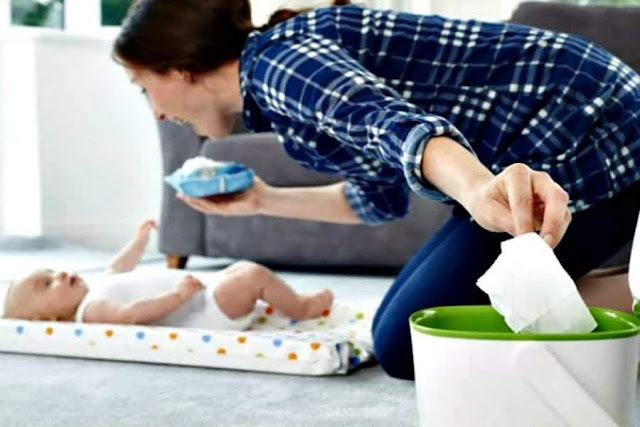 If the wipe burns into ash and there is no black hard lumping around the burnt corner, and no burnt plastic smell, then the wipe is made of natural organic products and safe to use for my little one. The Human Patch Test is a reliable method to check the mildness and sensitivity of a baby wipe. During a laboratory test the ingredients are applied to the inner forearm of a volunteer and then the area is evaluated by a dermatologist after a specific time. At home what I do is apply a wipe on the inside of my wrist for a length of time and then evaluate the area to check for any allergens, rash, redness or reaction that is out of the ordinary. I repeat this test for at least 3-4 days before finally giving it my nod to be used for my little one. I’ve conducted both these tests on five popular brands and was disappointed with the cheap polyester used in manufacturing three of them. While one of the brands gave me a mild rash within 2 days of the patch test, only one brand, Mother Sparsh came good during the tests. This truly makes it as good as cotton and water baby wipes available and that's what I'm going to be using for my precious ones. What about you, do you test products that you use for your kids? Is so, let me know in the comments below how do you ascertain their quality. It is so crucial to know what we use for our little ones. 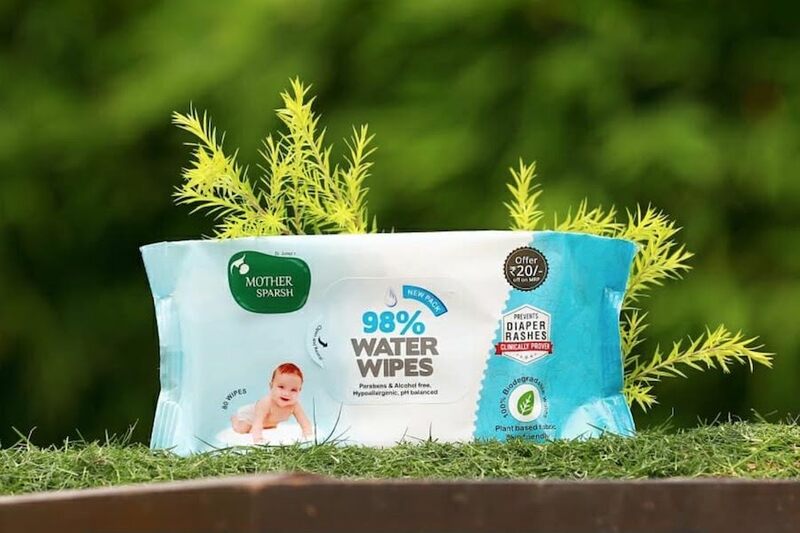 Baby wipes have now become an everyday multi-use product and it is important to know that they are natural, organic and safe. #MotherSparsh is a brand that ticks all the right boxes. Never heard of the flame test before. So going to have test it out.